﻿ Middle Bass Island State Park - Ohio. Find It Here. Middle Bass Island is situated on the western basin of Lake Erie. A boaters paradise, the park offers visitors a glimpse at Ohios glacial and cultural past. 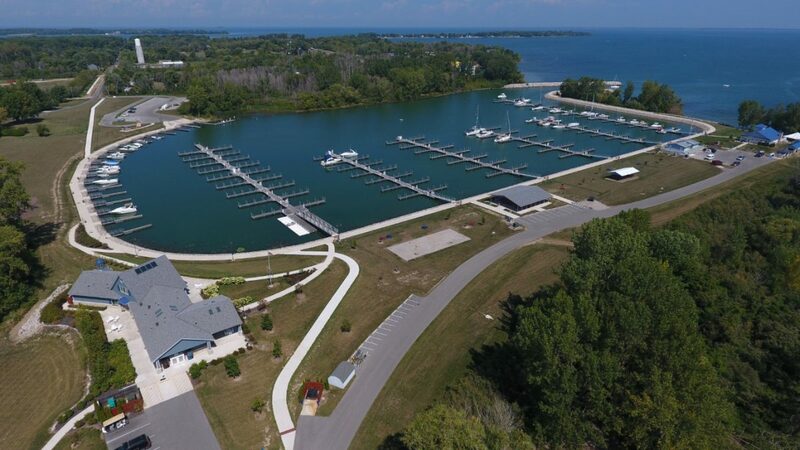 The park boasts a 184-slip marina and harbor masters building.Middle Bass Island was formed during the glacial period when massive ice sheets entered Ohio. Glaciers gouged and scoured the bedrock, and their tremendous weight left deep depressions which filled with meltwater, forming the Great Lakes. Lake Erie, the world's 12th largest freshwater lake, is large in area but shallow, allowing for violent storms with high waves. The western basin, where Middle Bass Island is located, has an average depth of only 25 to 30 feet.